Strong women have always influenced the history of the west. They had to in order to survive. 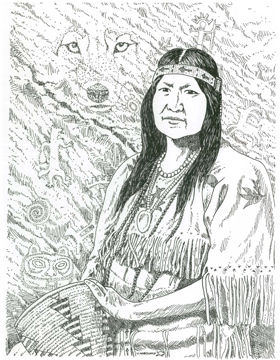 Mourning Dove, an Arrow Lakes enrolled woman of the Colville Confederated Tribes, was no exception. She was a trailblazer. Christine Quintasket, her given name, was the first female American Indian novelist, and the first woman elected to tribal council. Storytelling and legends have been passed down for centuries by elders, and they’d caught her eyes and ears from an early age. Later in life, a spark ignited and she began writing. near Bonners Ferry, Idaho; survival ran in her veins from the beginning of her life. Enrolled as Sinixt (Arrow Lakes), she really identified as Okanogan, both bands are of the Colville Reservation and similar in customs and language. She learned to read by examining dime-store novels. Her mother died when she was a tender 14 years old and she was left to help raise her younger siblings. Fluent in the Salish language, she pressed herself to learn to write in English. And by 1912 she’d drafted her first novel. Unfortunately, she stuffed it in a corner for many years. By 1927, Cogewea, the Half-Blood was published which is the story of a half-blood girl caught between the worlds of Anglo ranchers and full-blood reservation Indians. 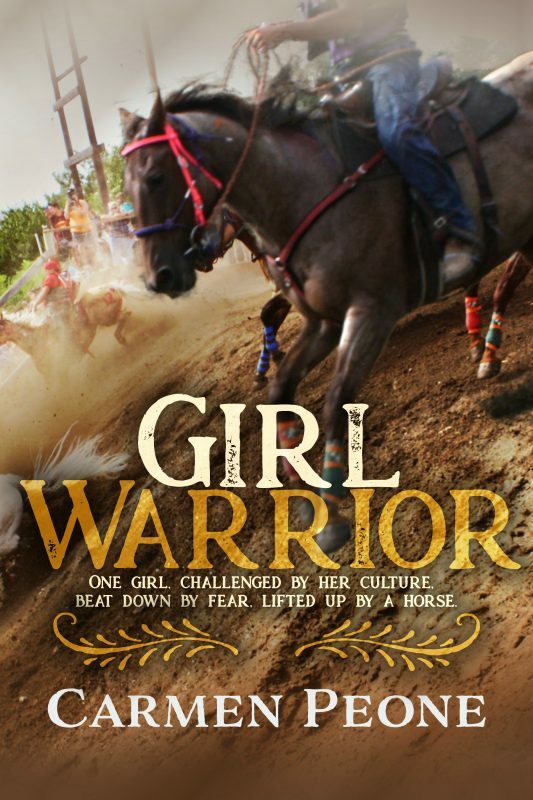 She finds herself wedged between a spineless easterner and fraudulent half-blood cowboy who happens to be the best rider on the Flathead reservation and jammed between book learning and the folk wisdom of her full-blood grandmother. This book is known for shattering Native stereotypes as stoic and unfeeling. Mourning Dove when on to pen Coyote Stories and Mourning Dove: A Salishan Autobiography. She worked hard to promote the welfare of American Indians, fighting in courts for their rights and paving the way for women to serve on tribal council. She didn’t have a life of leisure: in fact, after backbreaking days of working in orchards and fields all day, she would slip into a tent or cabin and write at night. Despite both financial and emotional adversity, she persevered in her goal of creating stories that give Natives a compassionate hearing. In 1936, she died, worn from chronic illness and fatigue. She left not only a legacy for her family, but for future generations of young women, fighting for their aspirations. Mourning Dove left a spirit of hope to those who will pick it up and run, full steam ahead, into the dreams given to them. I’ve had the honor of watching her younger generations thrive at work, in school, on the pow-wow floors, dancing to the drumbeat that livens the heart and honors her memory. Her heritage clearly lives on. Mourning Dove: A Salishan Autobiography. I put a comment on here bit must not have hit submit…. I love Morning Doves writings. Quite a few years ago Alice Covington advised me to read Morning Dove and Coyote Stories she was my mentor and friend. Alice told good stories too. She was also a brave woman going through the leukemia and the woes of the world. I think she loved and admired Morning Dove very much. She would tell me a coyote story and then say “get it”? So I had to read the book.. I find the same wisdom in the writings of Morning Dove. I am happy that you are inspired by her and will keep introducing her writings. You too are a great writer, my friend. God bless and keep you in your writing journeys. Thank you for sharing additional thoughts. I used to love Marguerite Ensminger’s stories, too. I’m glad you found a mentor in Alice, she sounds wonderful. Thank you for your kind words, God bless you, too! I spoke with Marguerite also and found her stories interesting and also a little sad sometimes. She was a brave woman also. She sure was, Vicki. I miss her. I truly enjoyed reading about Mourning Dove here. You do her great honor by telling us her story and letting us know that her family thrives. I’ve put her autobiography on my TBR list. I think you will get a lot out of her autobiography. It was a hard life, and she sail through because she’s a strong woman. Blessings. I read both Coyote Stories and Morning Dove with awe quite a few years ago. Alice Covington advised me to read them. Not only was Alice my mentor but also a very brave and wonderful woman as she faced her cancer and other woes of life. She told good stories. I am happy that you are being guided by Morning Dove’s writing and keeping her alive in memories. You are truly a great writer. Keep those books coming my friend. Thank you, Vicki. I don’t know Alice, but I’ve heard she’s a remarkable lady. There is nothing like a good story! Great post, Carmen. And what an interesting woman with a passion for writing. Thanks for sharing her story. Kelly, she was an amazing woman. I actually just ordered her other two books. I have the book Morning Dove and have used this autobiography for research for my Heart Trilogy. I woman of the heart. What an interesting story, Carmen. 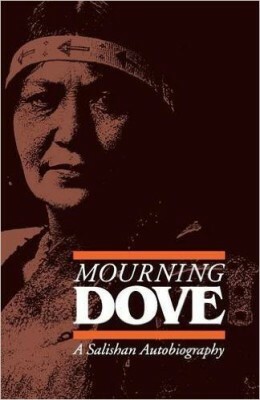 I’d never heard of Mourning Dove, but it sounds as though her story should be well known, especially in the Northwest. Thank you for sharing her story. Mary, she was an amazing woman and role model. I would love to see her legacy recirculate.